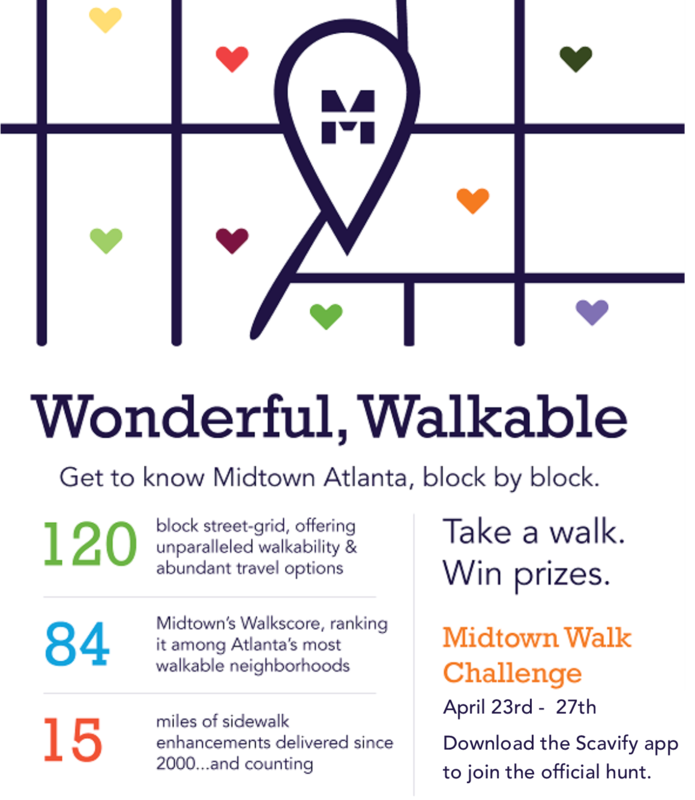 Join Midtown Alliance and the roughly 1,000 annual Walk Challenge participants as we explore Midtown, block by block, via the new & improved Walk Challenge, hosted on Scavify. 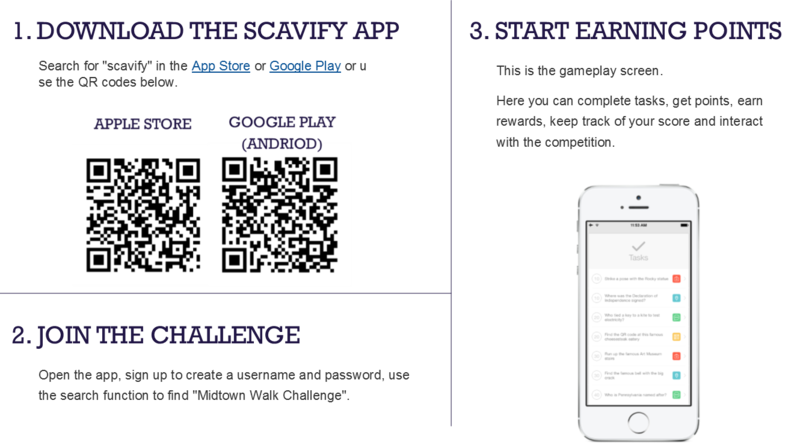 Participants will complete a series of interactive, real-world challenges to accumulate points and earn rewards. Earn points by completing daily photo challenges, trivia and more. 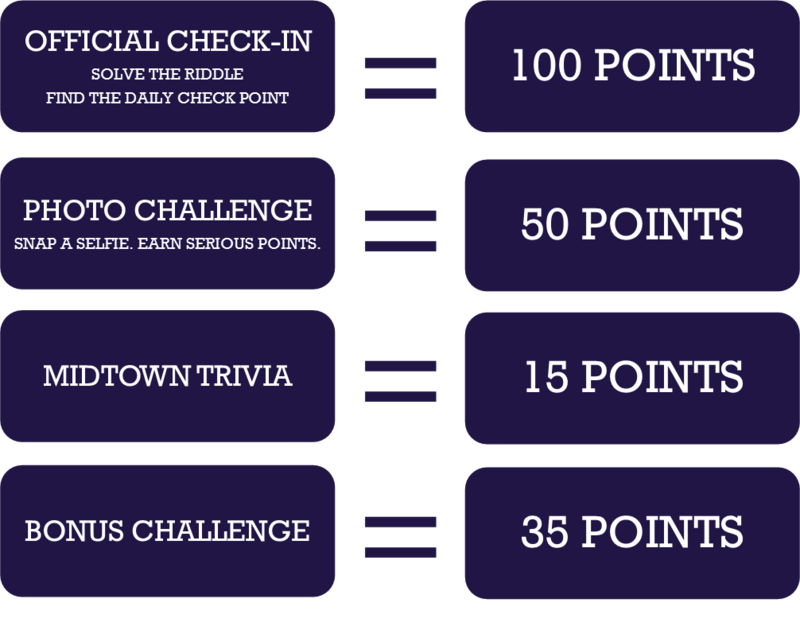 Solve our daily riddle and find our check-in locations to earn serious point boosts, be entered into daily raffles and to access local lunch deals. This year's Walk Challenge will give you even more room to explore and engage with the gems of Midtown. Daily Lunch Deals // Come see us at the daily Walk Challenge check-ins and pickup some snazzy lunch deals! 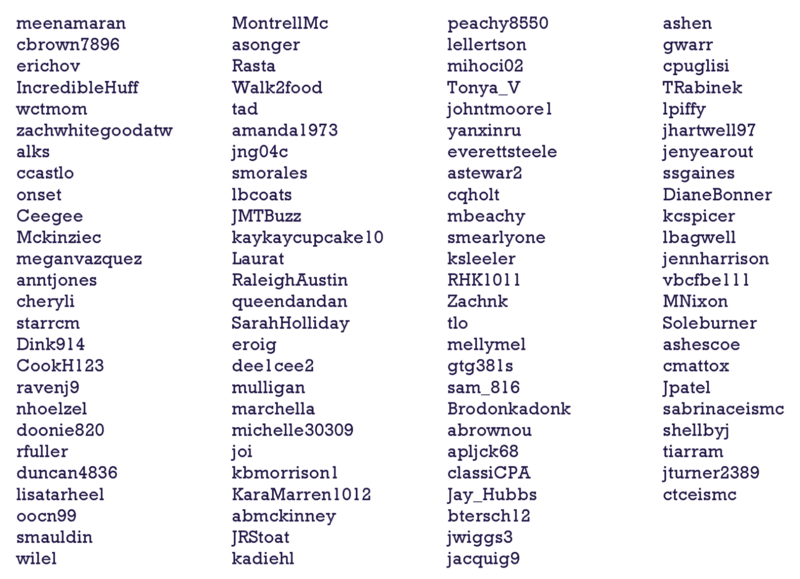 Daily Raffle // For every 100 points earned each day, you'll be entered for a chance to win the daily raffle! Grand Prize Raffle // Earn 500 points over the course of the week to be entered into the Grand Prize Raffle! Fancy yourself an overachiever? Each additional 250 points earns you an additional Grand Prize raffle entry. Bonus Prizes // Be on the lookout for announcements throughout the week on bonus prizes! This year we will be giving away some great Midtown branded swag and more. 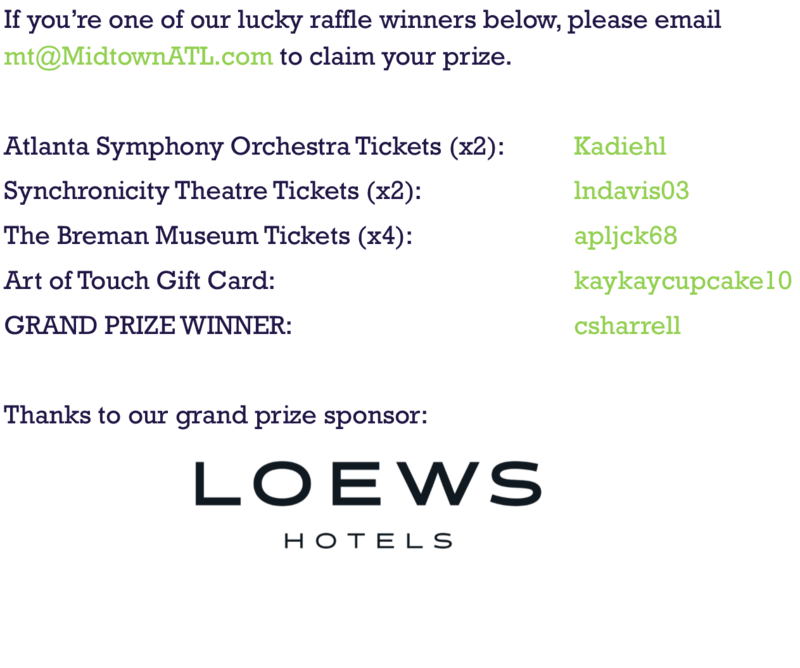 Past prizes have included a night's stay at the Loews Hotel, tickets to a show at the Fox Theatre, tickets to The High Museum, MODA & Atlanta History Center, gift card for a 60 minute massage at Art of Touch and more! The more challenges you complete, the more prizes you could win!